Executives in professional sports fields are increasingly worrying that their athletes are becoming addicted to video games, the Washington Post reports, and the World Health Organization shares their concern and calls the addiction a disease. The big picture: Despite the concern over video game addiction, American psychiatrists are not so sure that a gaming addiction is as serious as some make it out to be. 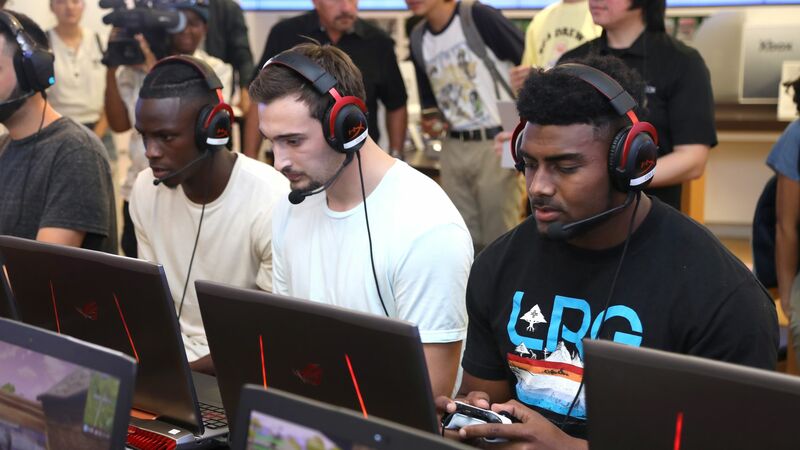 The state of play: Professional athletes, like many others around the globe, have caught on to the craze of Fortnite — the popular multiplayer video game at the center of the controversy where as many as 100 players compete against each other to be the last survivor on an constantly shrinking island. The game is so popular it made nearly $300 million off in-game purchases in April. Experts predict that the game could make as much as $3.5 billion by the end of 2018. Nearly 125 million people have the game with as many as 40 million logging in each month. Along with Fortnite, there are other games like League of Legends and Rocket League that users play for hours every day. The details: The World Health Organization added "gaming disorder" to its diagnostic handbook earlier this year. The organization believes gaming meets its three major criteria for a health disorder, The Verge reports. "Three criteria are necessary to diagnose someone with gaming disorder: gaming is strongly preferred over other activities, the patient does not stop gaming even when there are negative consequences like seeing their friends less or doing badly at their job, and the compulsive gaming strains the patient’s life or relationships." Yes, but: Experts from the American Journal of Psychiatry don't believe there is enough evidence supporting a diagnosis at this point, the Washington Post reports. An analysis of nearly 19,000 users from the U.S., Britain, Canada and Germany by the journal shows that just 1 in 3 people reported at least one symptom of a gaming disorder. That means between .3% and 1% of the general population would qualify for the disorder, the report says. What they're saying: Vladimir Poznyak, the WHO member who proposed the diagnosis, told CNN that the purpose of the diagnosis is not to create a precedent, but to follow "the trends, the developments" that are taking place in the population and professional field.